Hadley’s first opened its doors in 1937. Its founder Alan Hadley believed in a quality product at a good price. His beliefs have continued through the years and now with over 75 years experience in the industry we have perfected the humble fish and chips. 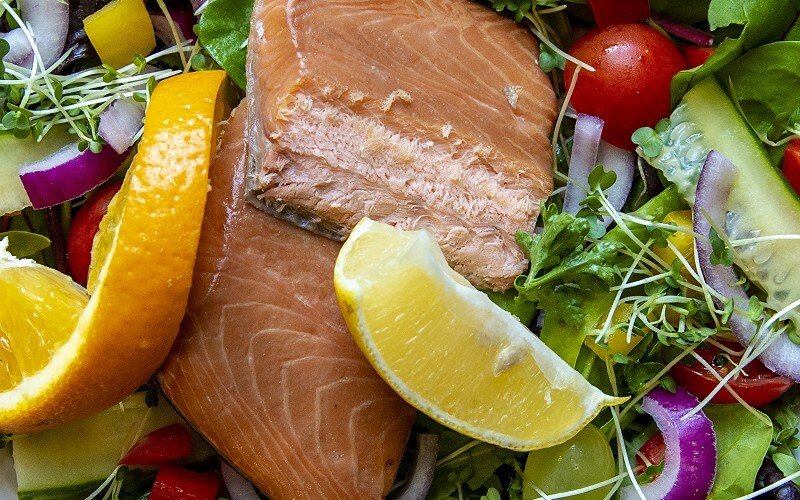 From traditional fish and chips, to salads, vegetarian and vegan options! 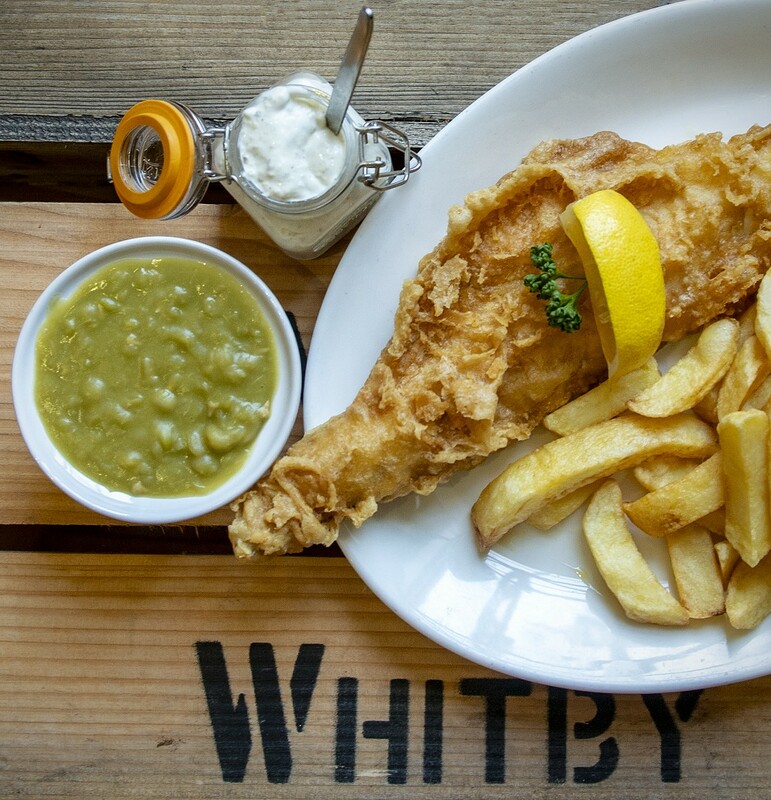 In recent years we've been voted Whitby's Best Fish and Chips by the readers of the Whitby Gazette and continue to be a firm favourite with locals and visitors alike! 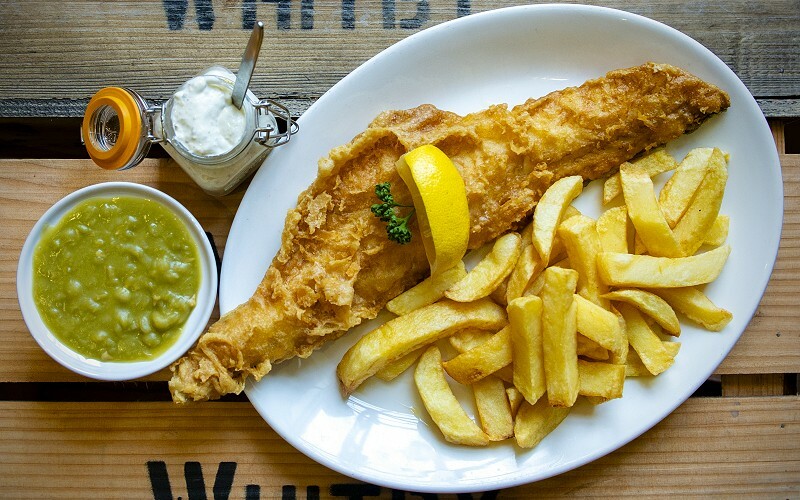 We always source the finest ingredients; British potatoes, MSC certified fish, home-cooked mushy peas and homemade tartare sauce. And we also cook the traditional way - in beef dripping. Enjoy your fish and chips with our wonderful sides, in the restaurant or as a take away! 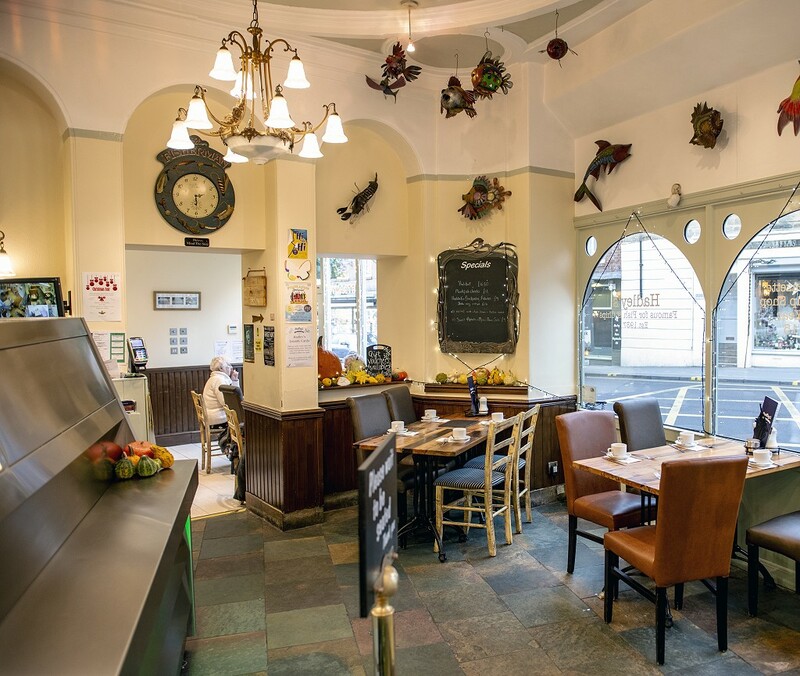 Come and enjoy a meal in our comfortable and relaxing restaurant - we can seat up to 120 in our downstairs and upstairs dining rooms. 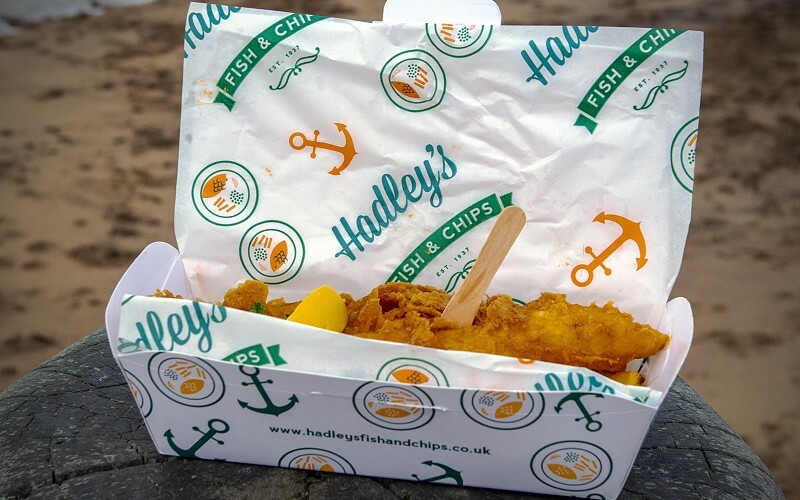 We're not only a restaurant, Hadley's also serves a fantastic range of delicious take-away meals to enjoy away from the restaurant premises. Want to book a table or pre-order your take-away? Please call us and our helpful staff will be pleased to deal with your enquiry. 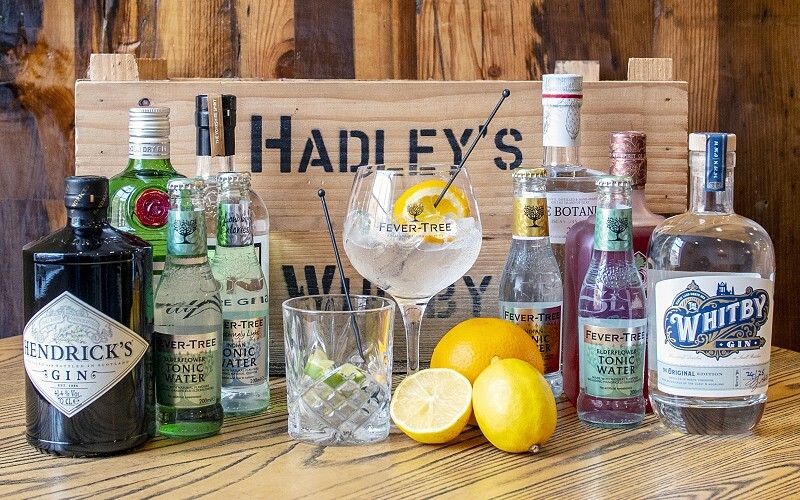 Have you heard about our new range of delicious gins, tonics and local beers? 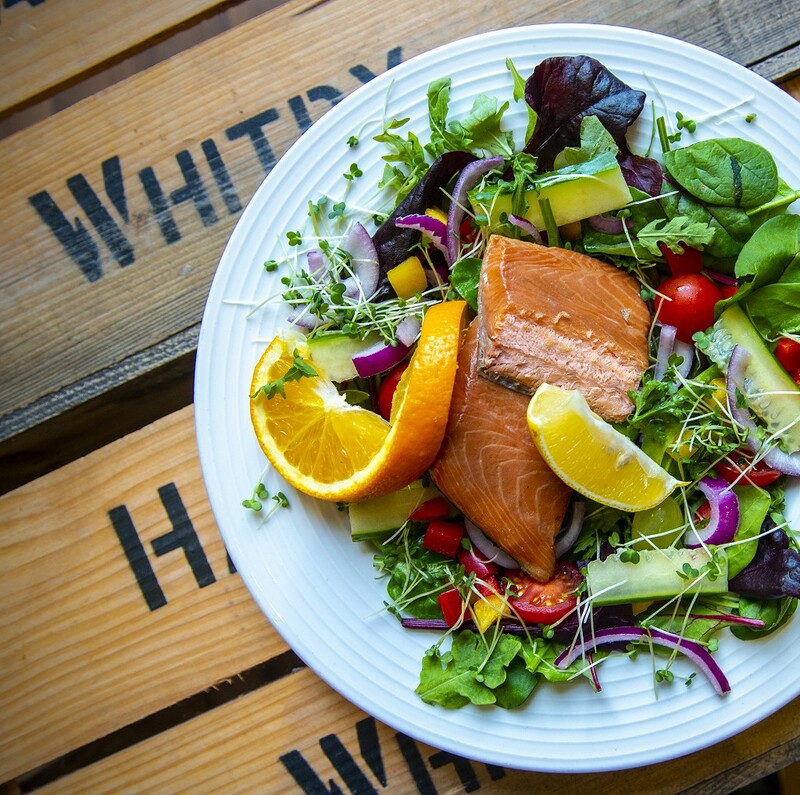 We're proud to stock Whitby Gin alongside your favourite Fever-Tree Tonics. 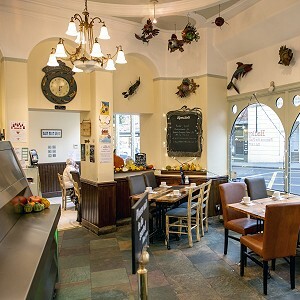 We're also stocking Whitby Brewery Ales, produced here in Whitby just meters from Hadley's Restaurant! Come and enjoy a delicious gin and tonic with your meal! With so much beautiful scenery to enjoy, it's not wonder visitors to Whitby love a fish & chip take away! 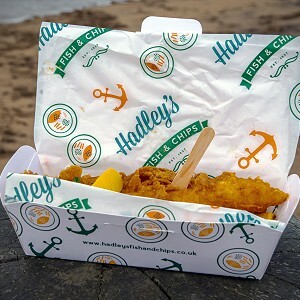 And now you can enjoy Hadley's fish and chips on the go. 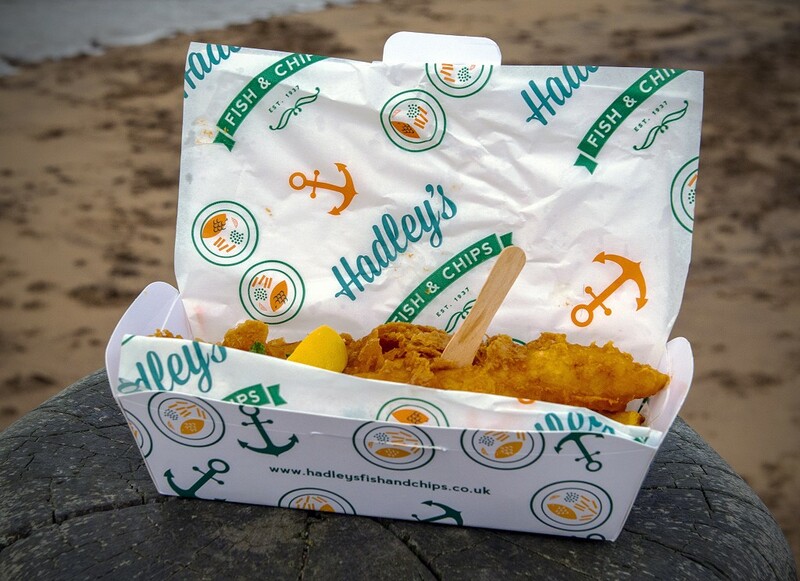 You can't miss our delightful take away boxes and paper - but the real star is our wonderful fresh fish and crispy batter! Come and enjoy Whitby fish and chips at their best!